Let explore and inspire your little ones imagination about jungle creatures and story with Hape Jungle Parade. 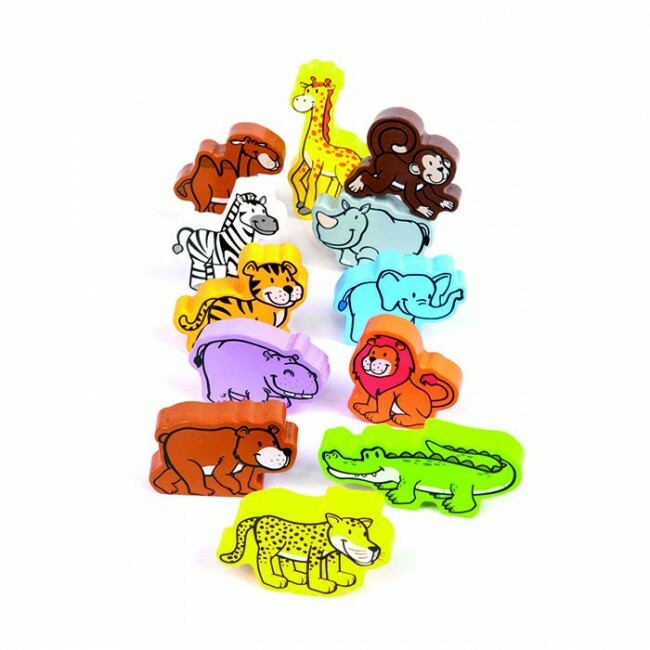 This toy helps your child to learn and practice colour, counting and wild animal creatures. The convenient tote package makes this a great activity for young jungle explorers at home or on-the-go. Hape Jungle Parade comes with 12 brightly coloured jungle animals to inspire your toddler's imagination about jungle creations. 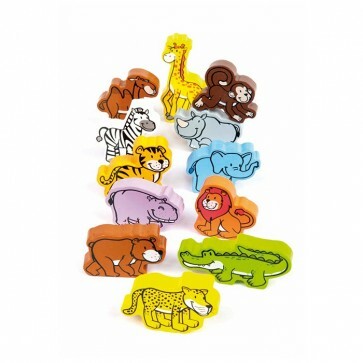 Fun wooden animals for use with other Hape imaginative play resources. 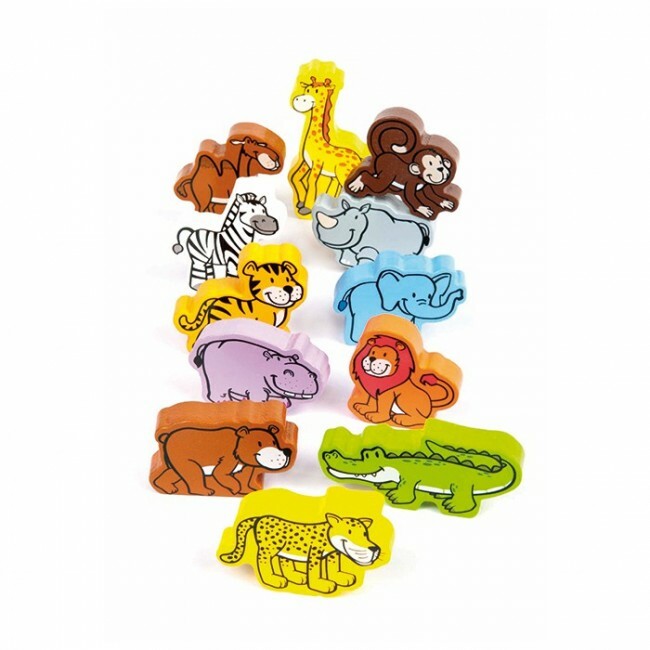 - includes 12 wooden pieces in the shapes of a rhinoceros, lion, camel, hippopotamus, bear, cheetah, giraffe, elephant, monkey, zebra, tiger, and crocodile. - made from FSC-certified wood.